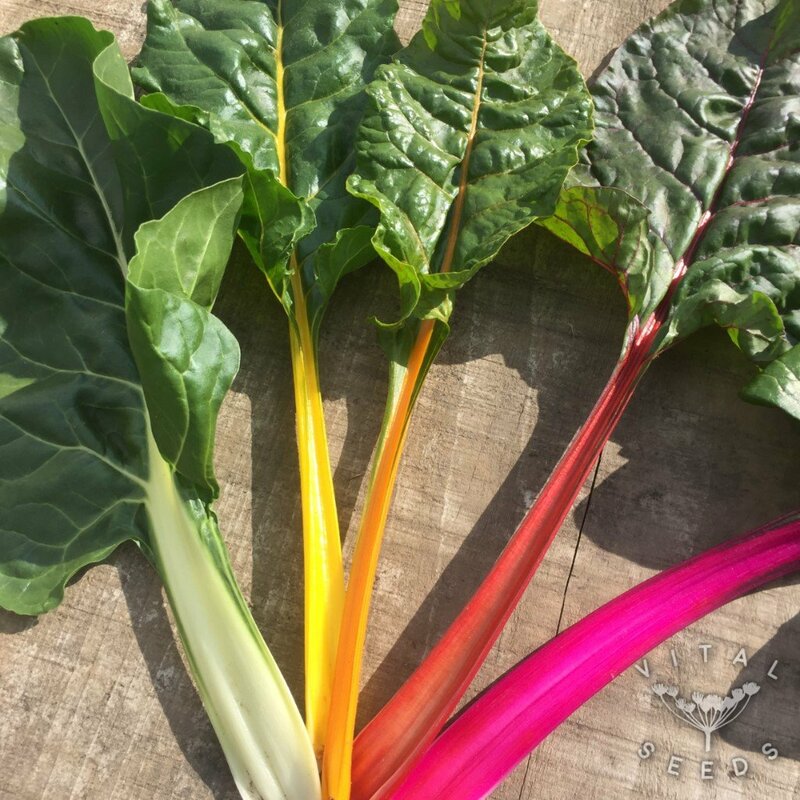 The red, pink, orange, yellow and white stalks contrast with green and maroon leaves. 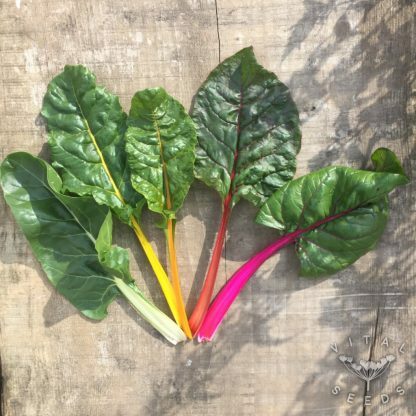 Baby greens are ready in less than 6 weeks – both the tender leaves and stalks are easy to use – fried, steamed, blanched or added to an omelette. 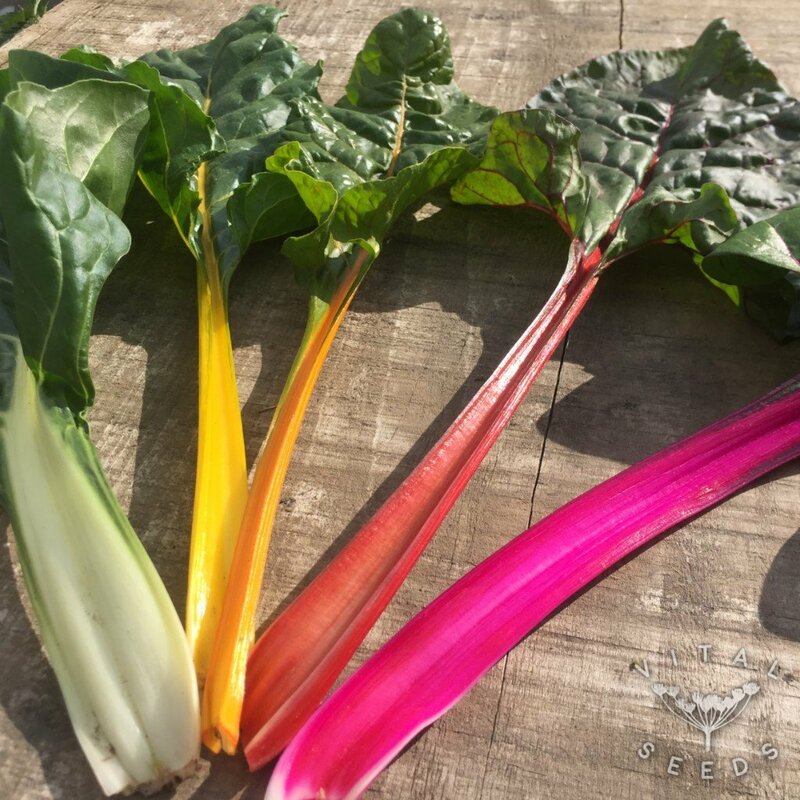 This variety of chard is less hardy than others, and doesn’t handle frost as well, so best not relied on as your only winter green.